To satisfy the rising demand for sewer lateral replacements, plumbers are turning to trenchless lateral replacement. Trenchless lateral replacement can spare your customer the unpleasant side effects of open-cut lateral replacement and at the same time grow your business. The HammerHead® PortaBurst® lateral replacement system is a portable, cost-effective and efficient method of replacing 2" to 6" (5 to 15 cm) lateral pipes in a minimum amount of time and unlike lining the new pipe can be the same size or even a size larger that the old pipe. Bursting in close quarters calls for big power in a small package. 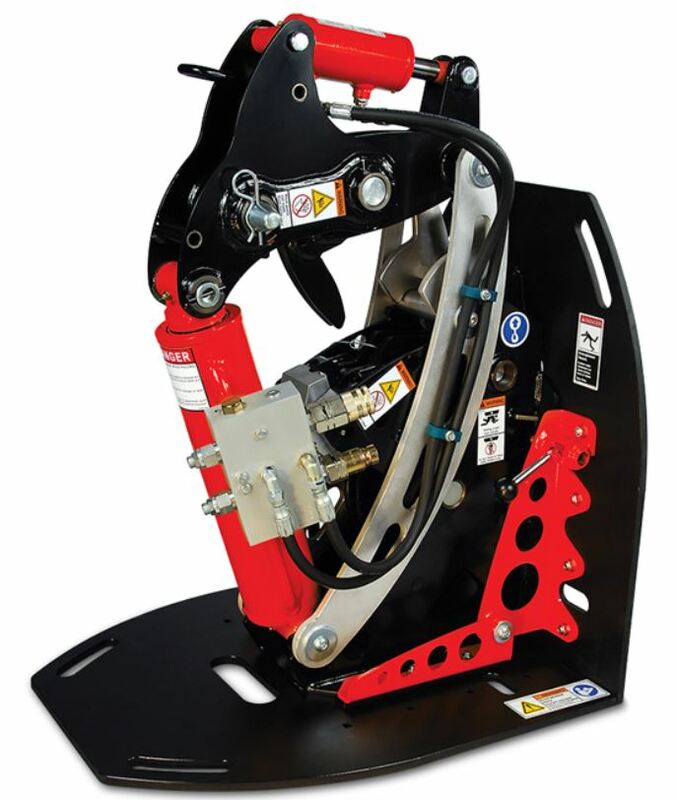 The light-weight, easily-assembled PortaBurst Lightning is a four-component bursting system that gives you 30 tons of pulling force for highly productive 2- to 6-inch lateral replacement. When replacing shallow laterals that require only a hand dug pit, you won’t have equipment on hand to lift a heavy bursting system into place. Or when you’re working in spaces with limited access, you can’t afford to waste time struggling with set up. The modular aluminum construction makes it lightweight and easy to assemble/disassemble so maneuvering the unit is not an issue. Each component weighs less than 70 pounds and the system’s unique design simplifies setup and operation by giving you stand-up room to thread the jaws. Don’t sacrifice power and performance for portability when you can have it all. Widen your margins, not your pits, with the PortaBurst Lightning. Cable grip systems of other designs on the market do not keep constant tension on the cable as it recycles. Each time they stop to re-grab the cable, a “bungee effect” slows down progress. Our PortaBurst systems eliminate bungee effect to improve your productivity. The actuating cylinder pulls with a positive grip on the cable and a second grip holds the cable in place while the unit is recycling. Minimizing bungee provides a faster, more efficient burst. Quick Grip burst heads give you the industry’s quickest, most secure connection of the head to replacement HDPE pipe. These burst heads don’t require any hand tools, can negotiate bends up to 45 degrees and are available in 4- and 6-inch options. Quick Grip burst heads give you the industry’s quickest, most secure connection of the head to replacement HDPE pipe. These burst heads don’t require any hand tools, can negotiate bends up to 45 degrees and are available in 4- and 6-inch options. PORTABURST PB30G2: MINIMUM PIT. MAXIMUM PROFIT. For your tough lateral pipe bursting jobs, you need two things from your bursting system – the power to get the job done quickly and the durability to be up and running burst after burst. The rugged HammerHead PortaBurst PB30G2 replaces 2 to 6" lateral pipes with up to 30-tons of pulling force. Its compact footprint requires minimal excavation and the system is built to help you cut down on wasted time, maximizing productivity. Its user-friendly, modular design makes it easy to operate, easy to set up and easy to transport. Plus, Quick Grip burst heads make it easy to securely connect new pipe without any hand tools. With efficiency like that, the PortaBurst PB30G2 is the ideal system for high-profit lateral replacement. PortaBurst systems operate at low pressure, so you can choose from a variety of power supply options. 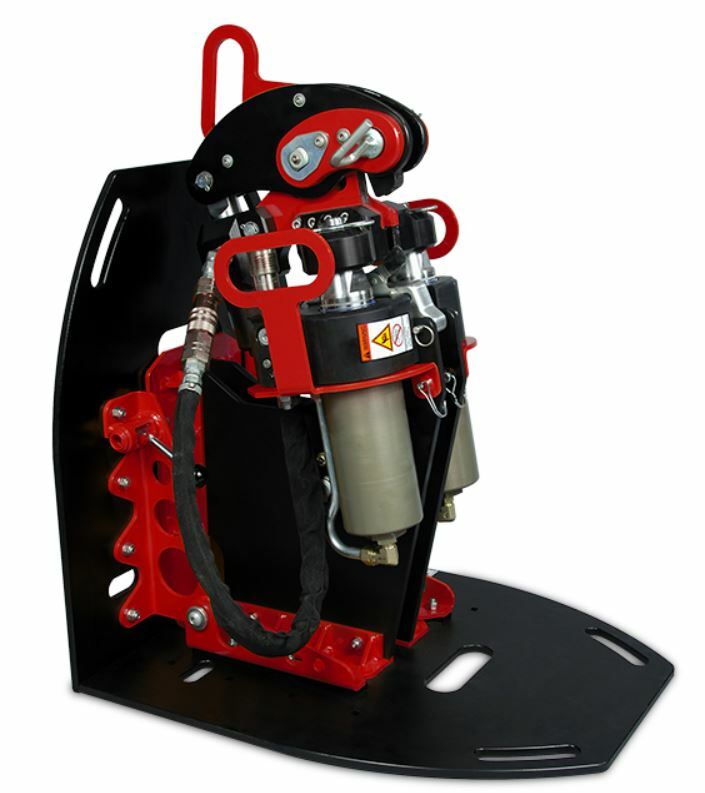 Use a dedicated powerpack or run it from your backhoe or compact excavator – or any other hydraulic supply capable of 3,000 psi with a flow of at least 13 gpm. The cycle length of the 12" hydraulic cylinder supports production rates of up to 6 feet per minute. You need more than just a manufacturer for your trenchless operations – you need a partner. At HammerHead® Trenchless, it is our mission to help you succeed on every job. Our customer service is available 24/7, so you always get your answers when you need them. Our world-class, on-site training keeps your crews confident and efficient. And when your job calls for a custom solution, our team of industry experts is ready to help. At HammerHead Trenchless, the most important feature on all of our products is the signature support that comes with it.